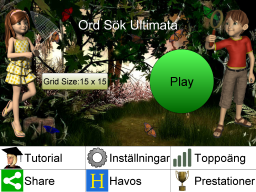 Spela ord sökning på online, nätet gratis. 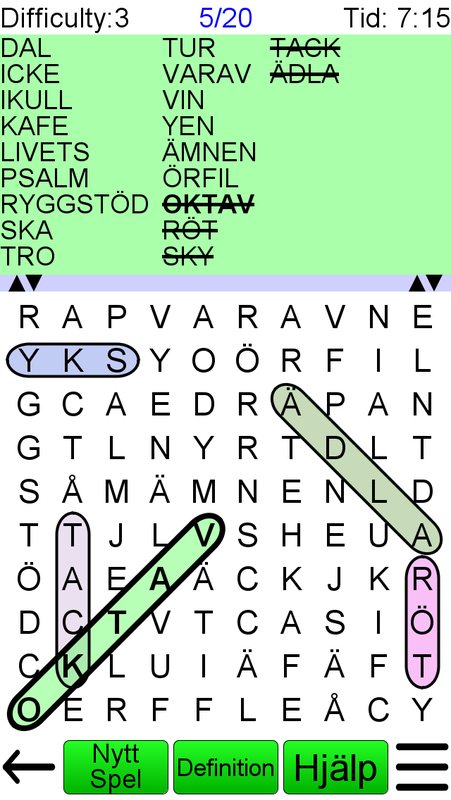 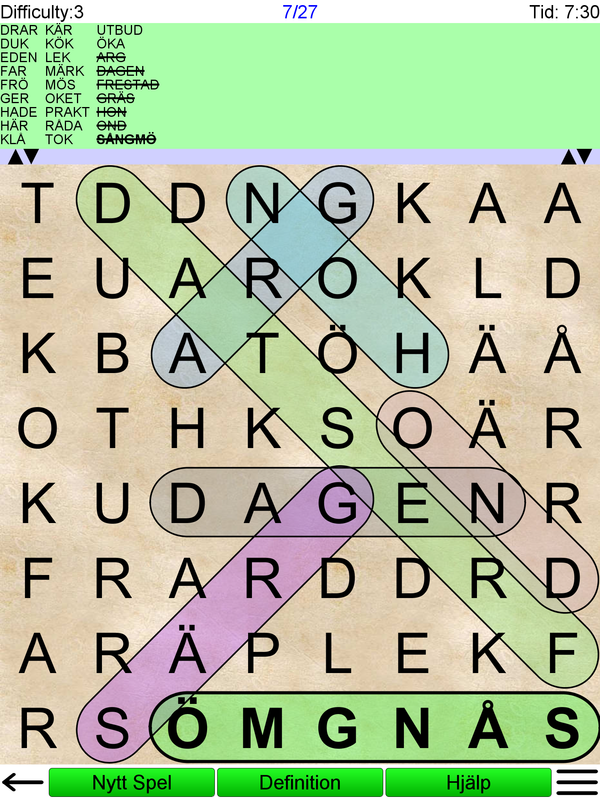 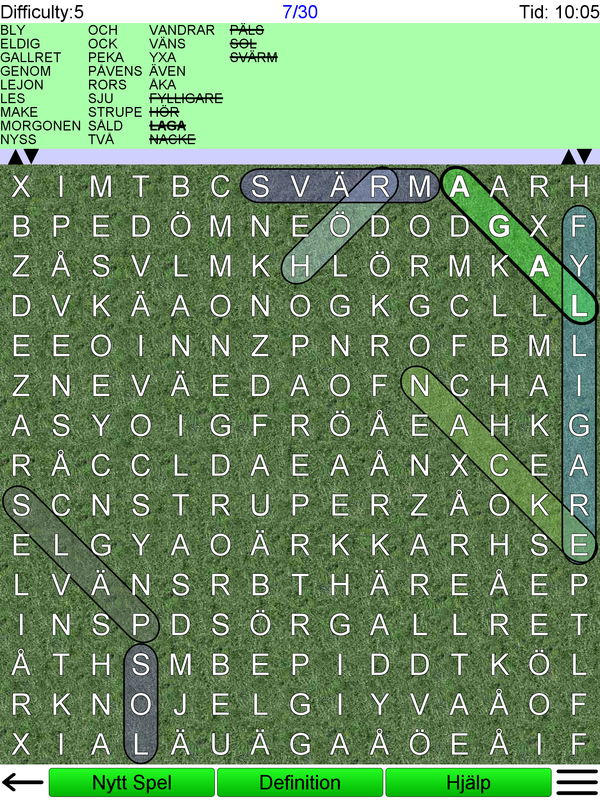 This is by far the most flexible word search app on the market. 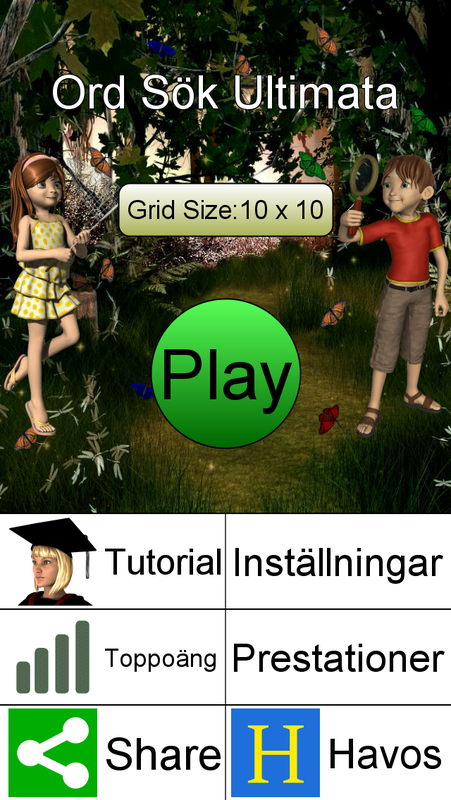 Multiple configuration options create a game that exactly corresponds to your device and your expertise. 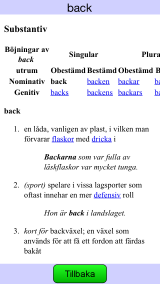 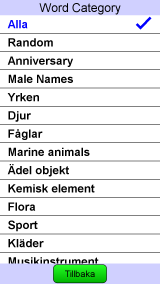 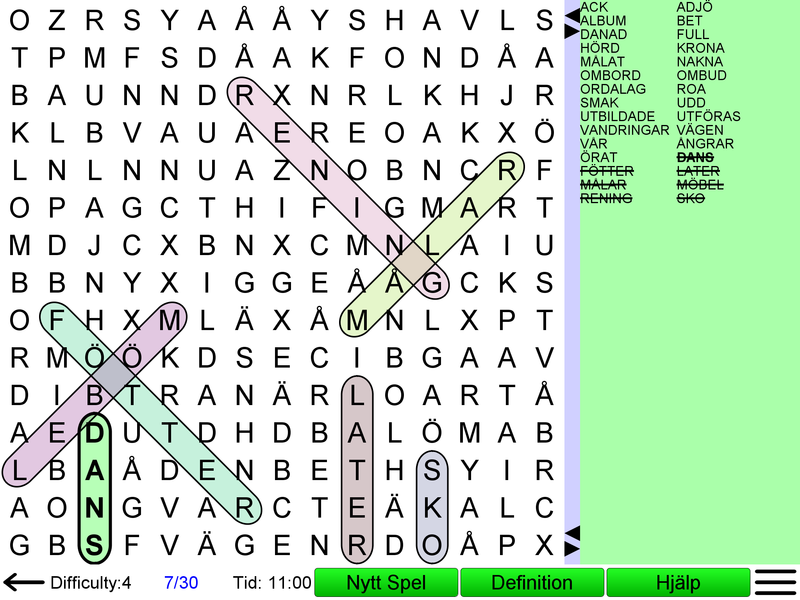 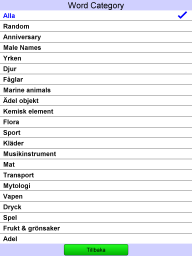 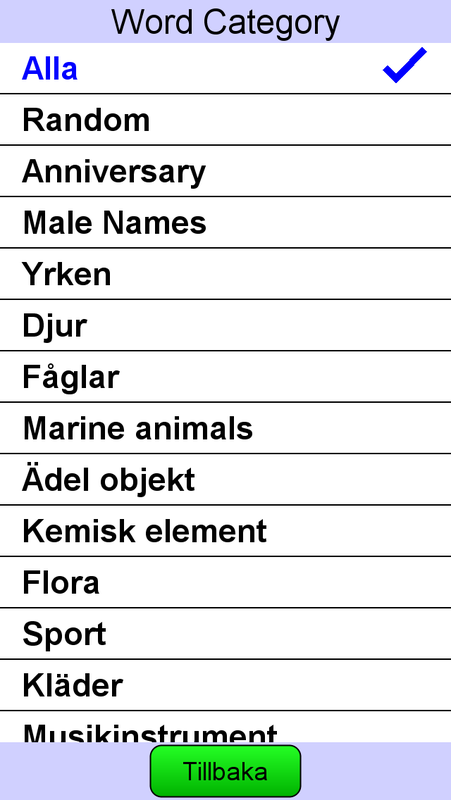 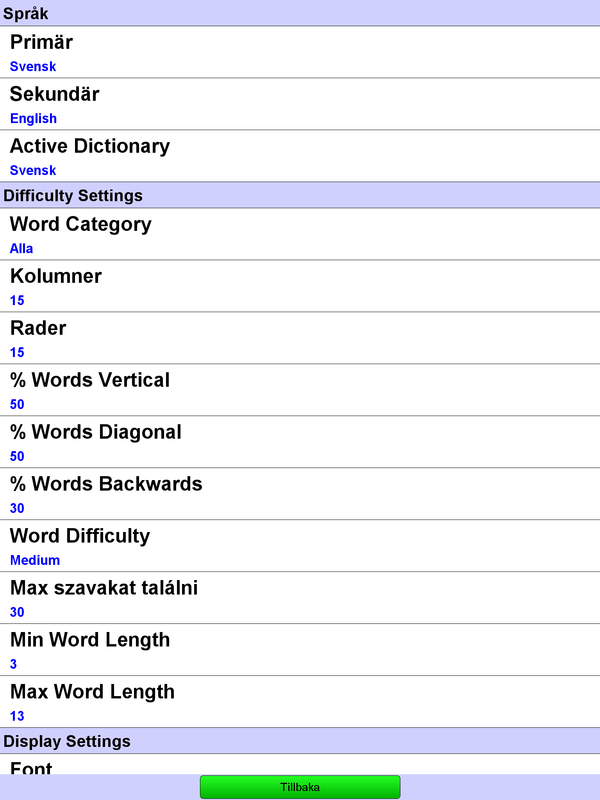 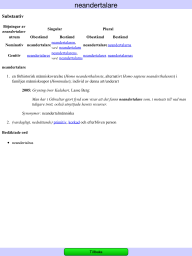 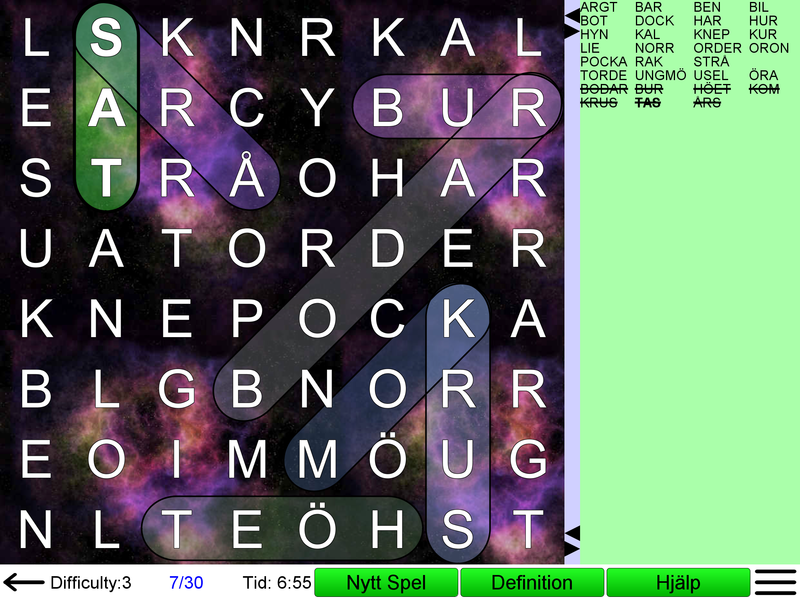 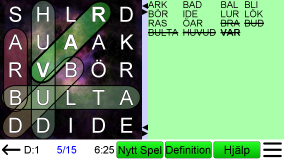 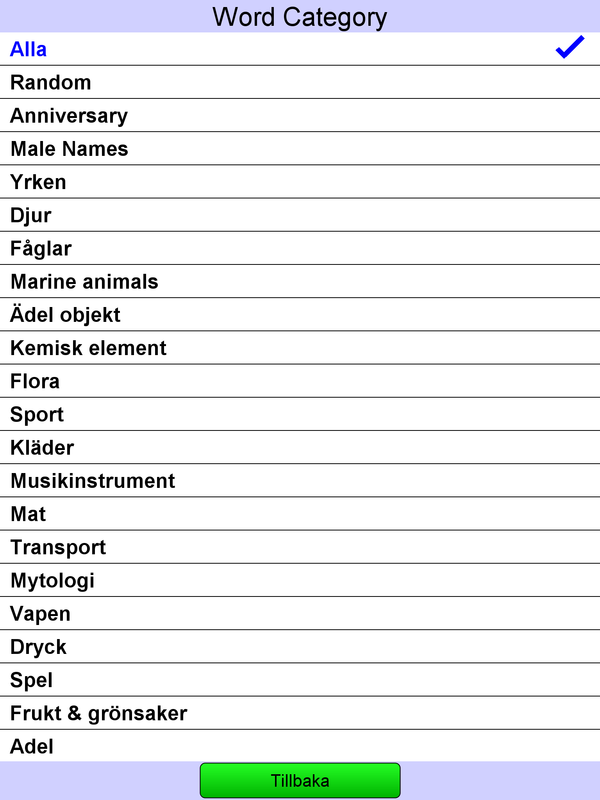 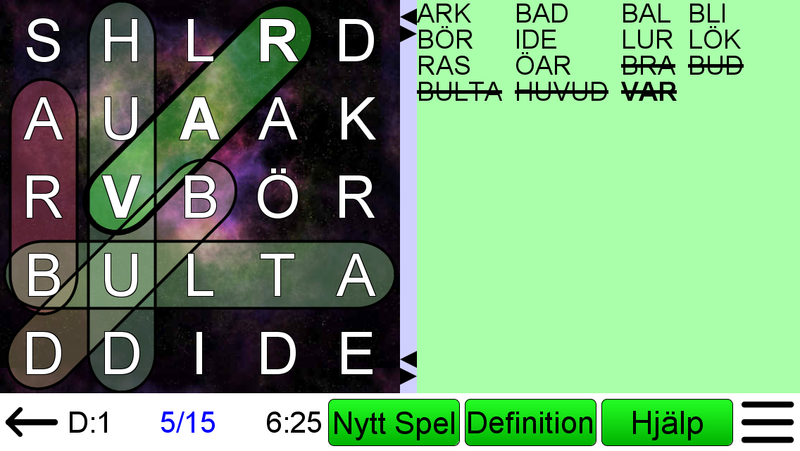 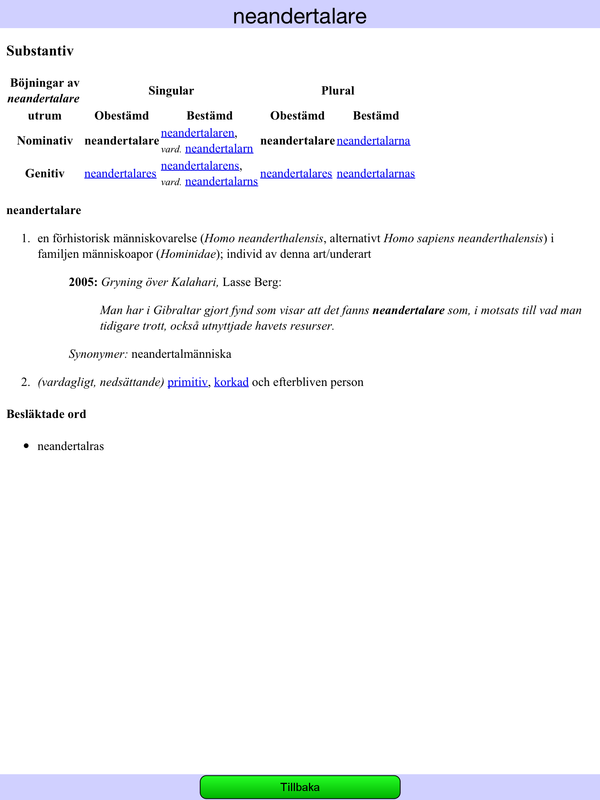 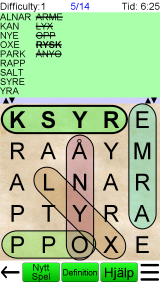 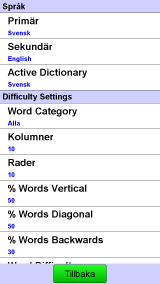 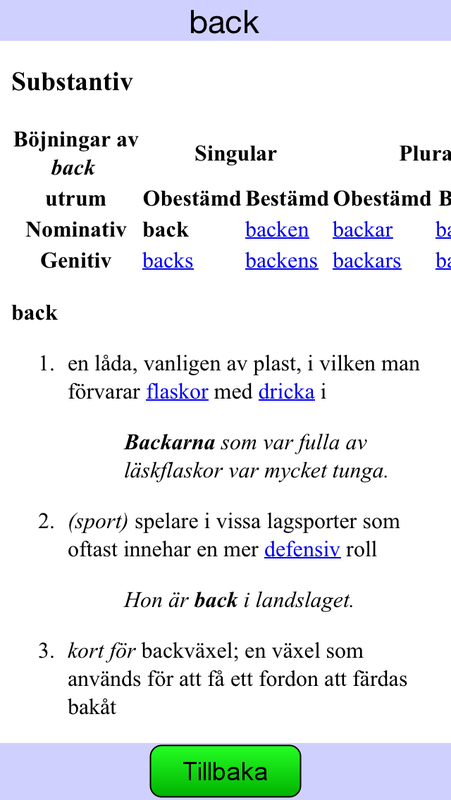 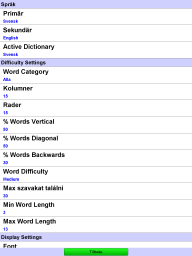 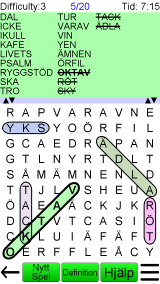 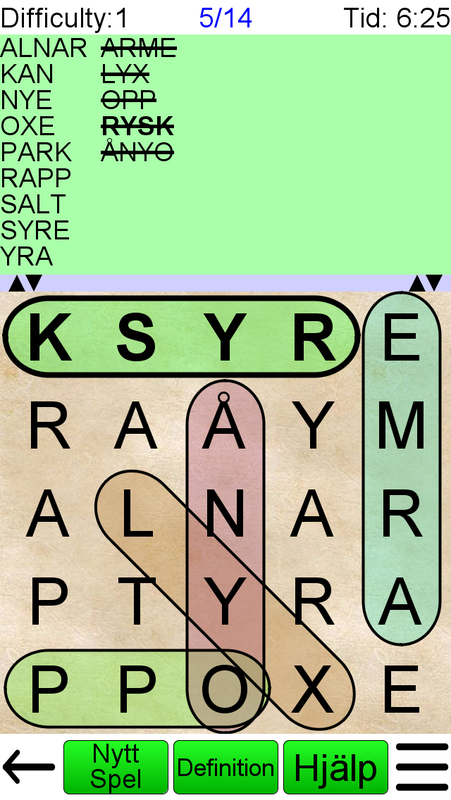 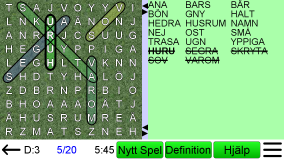 Play with a Swedish word list or choose one of 25 other languages. 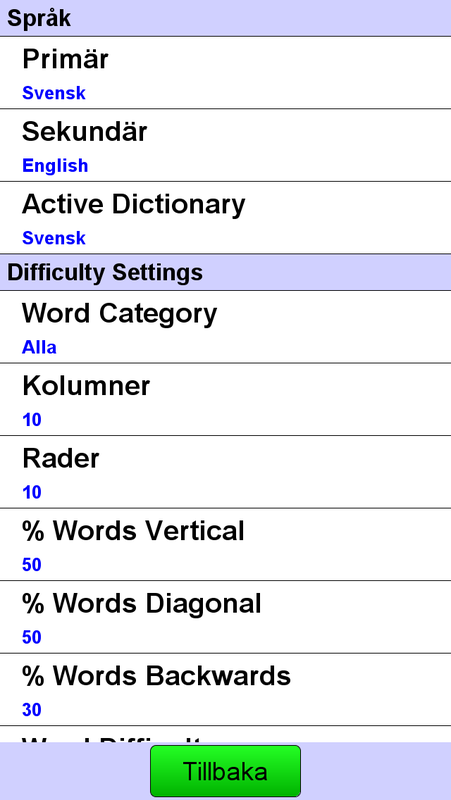 Play with a Swedish word list or choose one of 25 other languages.